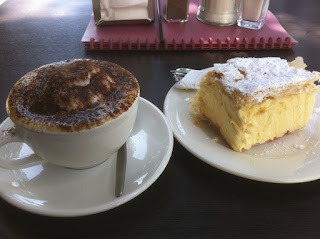 After enjoying my yummy breakfast, I left at about 8.30am. Again the weather is still perfect. My first stop this morning is Torquay. 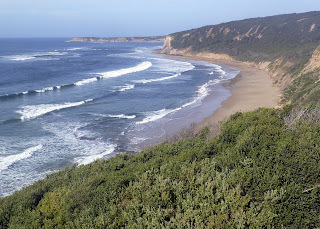 Torquay is a major area for surfing and Bells Beach which is used for a lot of surfing comps is just down the road. 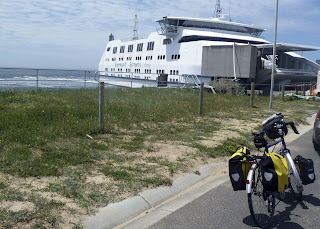 I then continued my ride towards Queenscliff. I mostly followed quiet backroads all the way to Queenscliff. I was pleasantly surprised to see some nice beaches along the way. 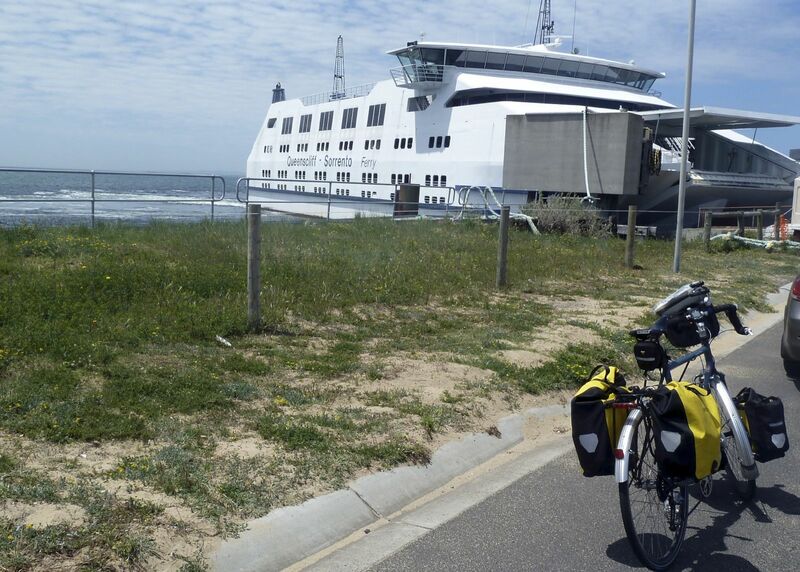 I arrived in Queenscliff just after 12pm, as the ferry doesn't leave until 1pm decided to get some lunch. Queenscliff is a pleasant town with a few old Victorian buildings. After lunch I headed down to the ferry to get my ticket. It costs $10 for me and $2 for the bike to get to Sorrento. Got to relax on the boat for 40 minutes. It's a very enjoyable way to get to Melbourne. Once the boat docked at Sorrento, I headed for my accommodation at the YHA. This has to be one of the nicest hostels I have stayed at. I came here about 5 years ago and it was being renovated at the time. It is a very relaxed and clean place. After I settled in, I went for a short walk into town. Sorrento is another town full of little shops and cafes. So I found A nice cafe and enjoyed a coffee and cake. See below for a picture of the yummy cake. Today's ride may not had been as scenic as the last few days, but there were certainly a few nice beaches and still good quiet roads to enjoy. Tomorrow I'll be riding around the Mornington Peninsula to Melbourne.